Current Topics In Anesthesia is organized by Med City Anesthesia Seminars and will be held from May 13 - 16, 2019 at Hilton Sedona Resort at Bell Rock, Sedona, Arizona, United States of America. 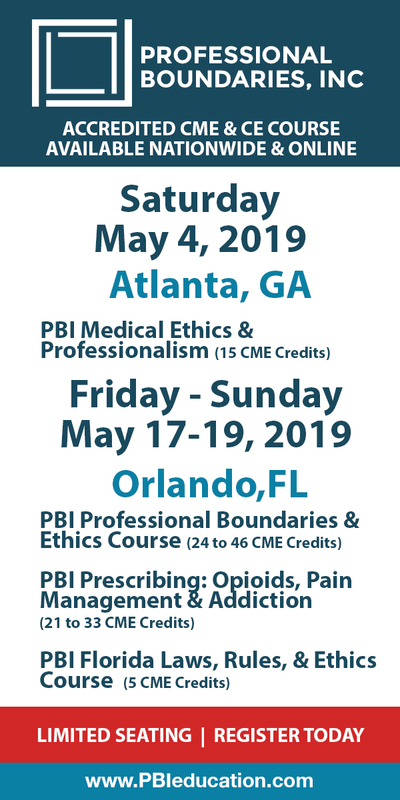 This program has been prior approved by the American Association of Nurse Anesthetists for 20.00 Class A CE credits; Code Number 1036626; Expiration Date 5/16/2019. AANA designates this program as meeting the criteria for up to 6.50 CE Credits in pharmacology/therapeutics. Additional details will be posted as soon as they are available. 2019 Arizona United Rheumatology Alliance (AURA) Annual Meeting is organized by Arizona United Rheumatology Alliance (AURA) and will be held from May 31 - Jun 02, 2019 at Enchantment Resort, Sedona, Arizona, United States of America. Additional details will be posted as soon as they are available. Echocardiography for the Non-Echocardiography Practitioner and ECG Workshop is organized by Mayo Clinic and will be held on Aug 04, 2019 at Enchantment Resort, Sedona, Arizona, United States of America. Target Audience: This course is designed for practicing cardiologists, cardiovascular surgeons, cardiovascular and internal medicine trainees, emergency medicine, internal medicine, family medicine specialists and trainees, physician assistants, nurse practitioners, nurses, and any staff with a cardiovascular interest. Accreditation: • 4.75 AMA PRA Category 1 Credit™ • 4.75 Attendance Course Description: Echocardiography for the Non-Echocardiography Practitioner: Hand-Held Ultrasound Workshop for Daily Practice and ECG Challenge: Show Me the ECG and I Will Tell You What the Patient Has. Additional details will be posted as soon as they are available. Anesthesia Update is organized by Northwest Anesthesia Seminars (NWAS) and would be held During Sep 18 - 21, 2019 at Hilton Sedona Resort at Bell Rock, Sedona, Arizona, United States of America. This CME conference has been approved with 20 AMA PRA Category I Credits. 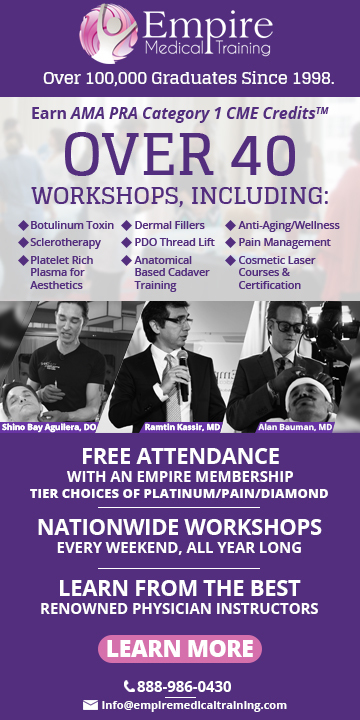 Target Audience : This course is designed for physicians, certified registered nurse anesthetists, physician assistants, registered nurses and other medical care providers who must maintain state-of-the-art knowledge of not only the specialty but also of all additional, related disciplines which may impact it. Objectives : At the conclusion of this activity, the participant will be able to : Apply the pertinent physical and behavioral sciences - to include but not be limited to advanced anatomy and physiology, pathophysiology, chemistry, physics, psychology, and social sciences - as they impact and are affected by the planning, delivery, and monitoring of anesthesia and related services inherent in the anesthesia professions. Explain the selection, dosing considerations with methods of administration, safe use, and contraindications and precautions of presented pharmacological agents through the understanding of their physico-chemical properties, pharmacokinetics and pharmacodynamics, updated uses, and more recently developed additional, related, and similar drugs. Outline comprehensive management plans for the group of patients discussed, whether related in age, physical status, cultural background, invasive procedure, anesthetic or analgesic requirements, clinical setting, adverse reactions, and/or goals of care. Apply the principles of safety and asepsis in the performance of anesthetic procedures and administrations, equipment use, and other applications encountered during the provision of anesthesia and analgesia whether in the surgical unit, the labor and delivery suite, the pain management clinic, or other more remote location of anesthetizing services. Incorporate the appropriate recommendations and/or requirements of pertinent external organizations, institutions, and professional groups - recognized as serving as the authority for and/or holding the responsibility to compile and approve such tenets - in the provision of anesthesia and related services, whether medical, legal, philosophical, ethical, or health care management standards. Topics in Emergency Medicine is organized by Northwest Seminars and would be held during Sep 22 - 26, 2019 at Hilton Sedona Resort at Bell Rock, Sedona, Arizona, United States of America. This CME conference has been approved with 20 AMA PRA Category 1 Credits.This course is designed for physicians, physician assistants, registered nurses, paramedics, pre-hospital emergency medicine care providers and all other medical care providers who must maintain state-of-the-art knowledge of not only the specialty, but also of additional related disciplines which both impact and are impacted by it. Objectives: At the conclusion of this activity, the participant will be able to : • Apply the pertinent physical and behavioral sciences as they impact and are affected by the planning, delivery, and monitoring of services inherent in the professions • Explain the selection, dosing considerations with methods of administration, safe use, contraindications and precautions of drugs based on their chemical and pharmacologic properties • Outline comprehensive patient management plans for the special patient population discussed • Apply the principles of safety and asepsis in the performance of all aspects of patient care regardless of the clinical environment in which the practice resides • Incorporate the published tenets of pertinent, recognized external organizations, institutions, and professional groups defining medical, legal, philosophical, ethical, and health care management standards. 6-Day Certificate Program: Yoga & Meditation Retreat is organized by PESI HealthCare and will be held from Sep 24 - 29, 2019 at Sedona Mago Retreat, Sedona, Arizona, United States of America. Additional details will be posted as soon as they are available. 22nd Annual Mayo Clinic Internal Medicine Update: Sedona is organized by Mayo Clinic and will be held from Oct 03 - 06, 2019 at Hilton Sedona Resort at Bell Rock, Sedona, Arizona, United States of America. Course Description: This conference is a four-day course offering primary care physicians, nurse practitioners and physician assistants a practical update on a variety of subspecialty topics. Additional details will be posted as soon as they are available. 22nd Annual Mayo Clinic Internal Medicine Update: Sedona is organized by Mayo Clinic and will be held from Oct 17 - 20, 2019 at Hilton Sedona Resort at Bell Rock, Sedona, Arizona, United States of America. Course Description: This conference is a four-day course offering primary care physicians, nurse practitioners and physician assistants a practical update on a variety of subspecialty topics. Additional details will be posted as soon as they are available. Sedona Red Rock 2019 CPC Review is organized by Encore Symposiums and will be held from Nov 02 - 03, 2019 at Hilton Sedona Resort at Bell Rock, Sedona, Arizona, United States of America. Seminar Overview: The CPC review course is strategically designed to align with the learning objectives of the NBCRNA Core Modules; Airway Management, Applied Clinical Pharmacology, Human Physiology/Pathophysiology, and Anesthesia Equipment & Technology. The review course will enable the learner to successfully prepare to meet the challenges of the CPC Exam from the novice to the seasoned anesthesia provider. Seminar Objectives: The CPC review course is strategically designed to align with the learning objectives of the NBCRNA Core Modules; Airway Management, Applied Clinical Pharmacology, Human Physiology/Pathophysiology, and Anesthesia Equipment & Technology. The review course will enable the learner to successfully prepare to meet the challenges of the CPC Exam from the novice to the seasoned anesthesia provider. Accreditation: This program has been prior approved by the American Association of Nurse Anesthetists for 13.00 Class A CE credits; Code Number 1036474; Expiration Date 3/3/2019. The AANA designates this program as meeting the criteria for up to 4.00 CE Credits in pharmacology/therapeutics. AANA is an approved provider by the California Board of Registered Nursing, CEP #10862. Additional details will be posted as soon as they are available.